I have been housebound for about a week, unable to drag this baby anywhere other than ante-natal appointments. That and the raging hormones are turning me into a crabbit basket-case, so today after sleeping most of the morning again, I decided that I couldn't completely miss this stunning weather. 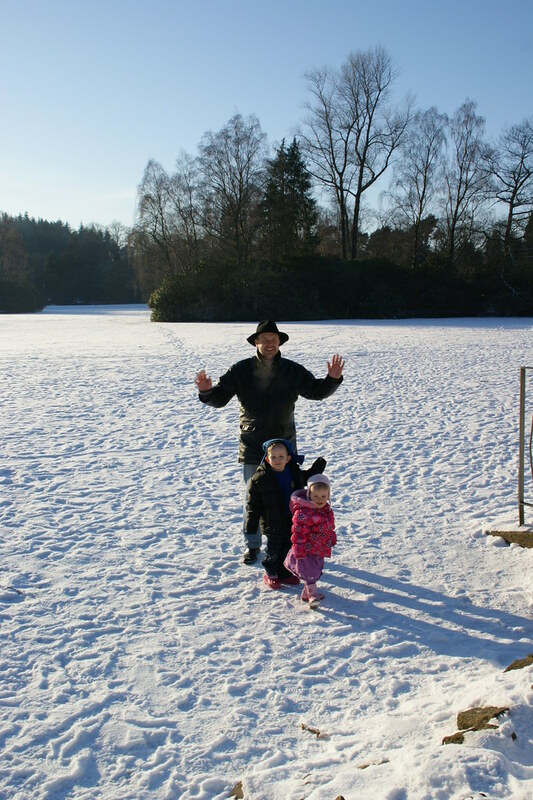 Unsure as to whether I could actually manage it, I set out with the intention of driving to Rouken Glen, walking once round the pond, checking out the snowy waterfall and returning home. On arrival, I was surprised to find no pond. I have often seen it frozen over the years, but never so frozen as to be covered in snow and footprints. When I finally arrived at the waterfall, a stunning sight awaited. 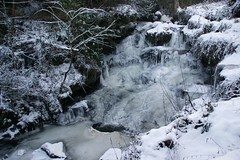 For only the second time I can remember since first visiting Rouken Glen in 1973, the waterfall was 90% frozen, as if trapped in motion. This was well worth the physical struggle, and actually cheered me up for the best part of the afternoon.